My love of crackers – all sorts of crackers – is long-established, and cheesy crackers are right at the top of that list. 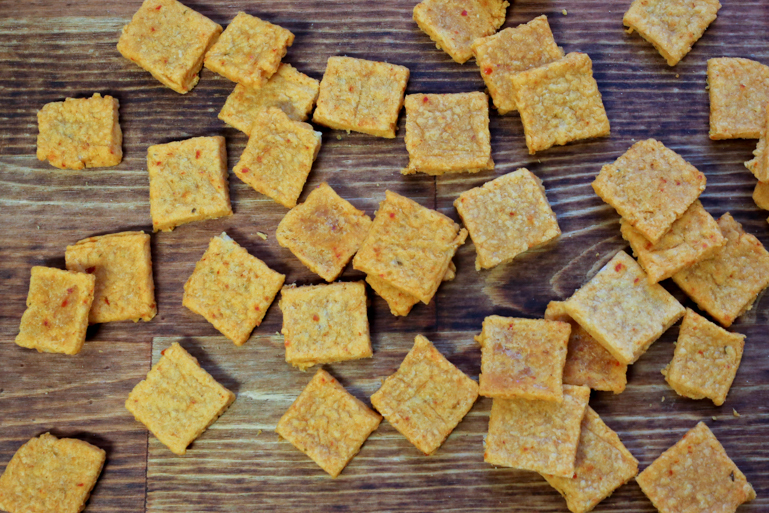 I’ve made homemade Cheez-Its before, but this is an interesting twist on the classic. Originally published in Christina Tosi’s Milk Bar Life, this recipe contains both freshly shredded and powdered cheese for a nice, sharp cheddar bite, plus kimchi that’s been pureed and added to the dough. I like kimchi, but it’s usually a bit too spicy for me. The spice gets tamped down in this application. There’s just the right amount of heat in these crackers, and it doesn’t hit you until the moment you swallow them. For more heat, I’d probably add a bit of kimchi powder or additional cayenne. 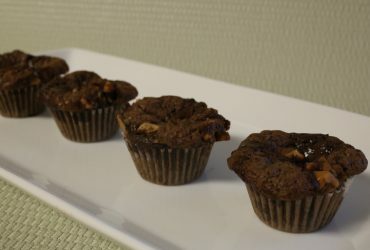 I ran into a couple of issues with the recipe, but it didn’t make them any less addictive. First, they could probably be rolled even thinner so they’re less chewy and more crisp. 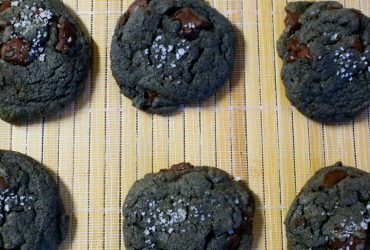 Even at 1/8″ thick, I still ended up baking them longer than the recipe called for – 18 minutes at 250, then another 15 at 180. And the next day, I put them back in the oven at 180 for a half hour to freshen them up. The second issue is just logistical and aesthetic. The crackers don’t spread, so the dough could be rolled out into larger sheets, transferred to the sheet pan, and cut into squares right on the pan. They don’t need to be separated before being cooked. And using a ravioli cutter would make them a little prettier.